Nintendo released a Tweet celebrating the fact that they have sold over 10 million Nintendo Switches. This is why the console has been such a huge success. Nintendo was in a pretty bad place a few months ago. The Wii U was a huge dud, and people just weren’t interested in what the company was plugging. Yet, all that changed drastically with the release of the Nintendo Switch which showed that Nintendo is still relevant in the gaming console market. 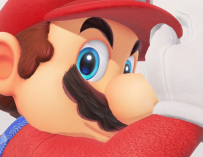 For a while, many so-called ‘experts’ were claiming that Nintendo was finished and it was now a two-horse race between Xbox and PlayStation, yet Nintendo is now firmly back in the race and in many ways overtaking their gaming rivals. But, how did they do it? How did they drag themselves from out of the Wii U hole they had dug themselves into? The answer: the Nintendo Switch. Their new hybrid console took the gaming world and the world as a whole by storm. People just couldn’t wait to get their hands on a shiny new Switch. Nintendo recently revealed via a tweet that they had sold over 10 million units and these are some of the reasons behind their success. The Nintendo Switch offers something that no other gaming console does. It’s a hybrid console. You can play it both at home on your television and on the go. This is something that the PS4 and Xbox One cannot do. Whereas Microsoft and Sony seem to be both chasing the same goal of having the most powerful console on the market, Nintendo decided to go in the opposite direction and create a gaming console for everyone that can be used everywhere. 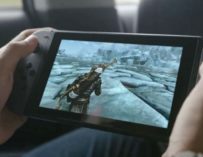 Nintendo has successfully made the Switch so much more accessible to a wider audience which explains how they managed to sell as many units as they have. It’s the number one console of 2017, and it’s not really surprising since they delivered on their promise to create a genuinely portable home console. 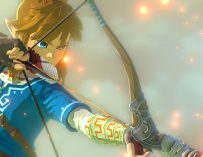 The Nintendo Switch launched with arguably one of the best games of the year in The Legend of Zelda: Breath of the Wild. Not only was this a Zelda title, but it’s also one of the best Zelda games to date and people just couldn’t wait to play it. Even though they released the game on both the Nintendo Switch and the Wii U, people still wanted to play the game on the latest console in order to get the best experience possible. 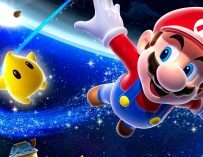 If that wasn’t enough, Nintendo then followed up Zelda with such games as Arms, Splatoon 2, Mario Kart 8 Deluxe, Stardew Valley, Mario + Rabbids: Kingdom Battle, SteamWorld Dig 2, The Elder Scrolls V: Skyrim, L.A. Noire, Xenoblade Chronicles 2 and another contender for game of the year, Super Mario Odyssey. That’s a very impressive roster of games especially considering it’s the Switch’s first year. One of the most important parts of the Switch is how fun it is. Not only are the games fun to play, but the console is colourful and just looks like a lot of fun. The PS Vita was a good portable gaming device, but it didn’t look as compelling as the Switch does. When you see the Switch with the colourful joycons you just want to pick it up and play it. It looks so much more appealing than the Wii U did which is another reason why so many people purchased the Switch and why it’ll be on a lot of Christmas wish lists this holiday season. This probably leads to my next point which is Nintendo’s great marketing campaign. The Switch was marketed perfectly. The very first trailer for the new console was brilliant, and it showcased all of the Switch’s main selling points. Then there was all the marketing that came afterwards. It just all worked well and made us really want to buy Nintendo’s new console. The ads for the Wii U weren’t as good and were confusing. Was the Wii U a new console or just a periphery for the Wii? That distinction wasn’t clearly made in the Wii U’s marketing. The actual name, Nintendo Switch, is also great marketing because it’s simple, easy to pronounce and remember and it just works and makes sense. The Wii U made no sense and just added to Nintendo’s inability to get people to realise that it was a new console and not just an add-on to the Wii. The Switch holds so much promise. Its future is looking very bright indeed which helps to convince people to make the leap and purchase Nintendo’s latest console. Nintendo has already announced that we’ll be getting a new Kirby game, a new Yoshi game and a new Fire Emblem game all in 2018 (hopefully). We’re also getting Wolfenstein 2: The New Colossus and Doom on the Switch, which will be definitely worth playing, especially on the go. There’s also the promise of Metroid 4 coming to the Switch in the future, but there’s no release date yet. So these are some of the reason why the Nintendo Switch has performed so well in 2017. Hopefully, people will continue to buy the console in the future, and Nintendo will keep on bringing great games to the Switch. Are you one the 10 million people who purchased a Switch or will you be getting one this Christmas? Let us know in the comments below.